Looking for retreat in the Blue Valley area? Look no further! 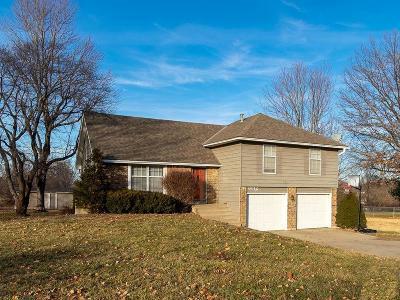 This 4 bedroom/2 full and 1 half bath home sits on just over an acre with plenty of room to romp around! Freshly painted interior. New wood fence around pool decking. Come enjoy the beautiful sunsets from the deck and image lounging on a hot summer day in & around the inground pool! Large rec room with bathroom & walkout to pool. 2nd Rec Room currently a blank canvas for you to make your own! Outbuilding for additional storage. Convenient highway access.